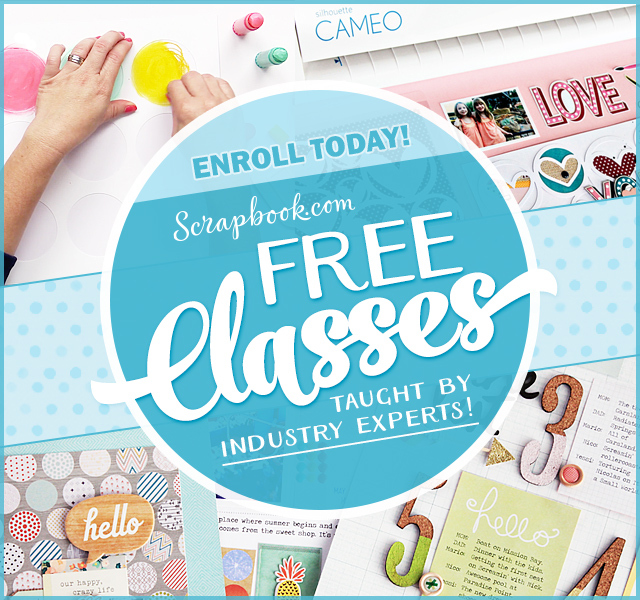 Today is the final day of Add a Little Dazzle and Stampendous blog hop. I hope you have had a chance to follow each day of the hop this week. There are lots of prizes to be given away and all you have to do is leave a comment on each of our blogs for a chance to win. My project for today is complementary to the place setting I shared yesterday HERE. It’s a Christmas card made with lots of layered heat embossed metallic snowflakes. 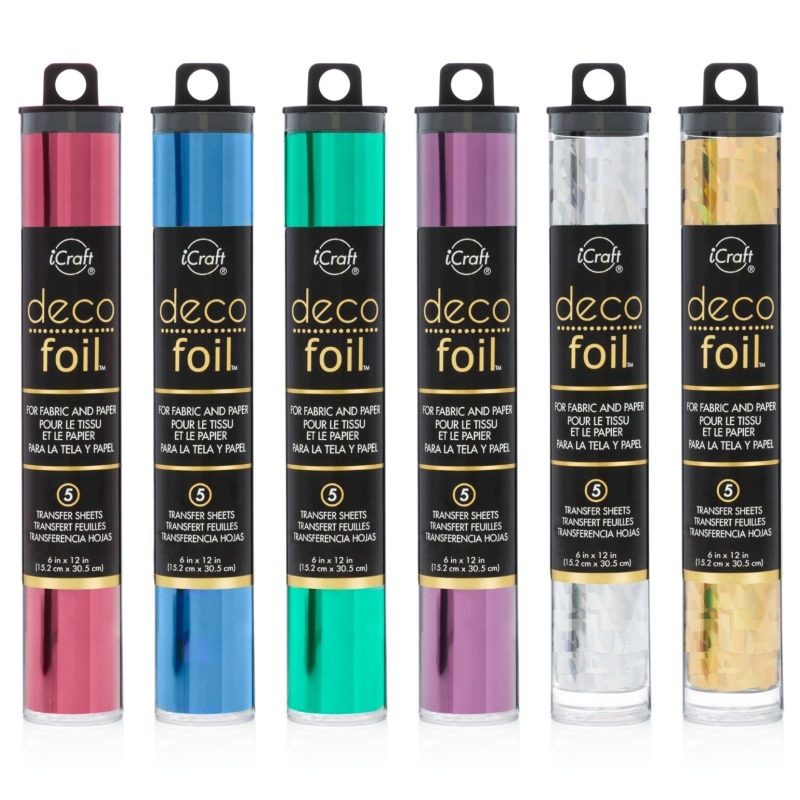 Add a Little Dazzle’s Wondrous White metal sheet, and Golden Glimmer metal sheet. There is a PDF tutorial for this card included on the Stampendous Blog Hop Pack that you might want to check out! 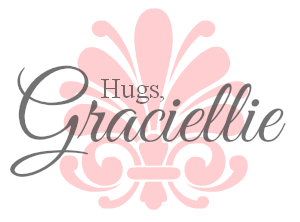 I hope you enjoyed seeing this and all my other projects shared this week during the blog hop. Thanks so much Stampendous for letting me use your amazing snowflake set. I also want to take a moment to thank Add a Little Dazzle for having me this week and a half as their guest designer. Thanks for the opportunity! for a chance to win some amazing prizes. 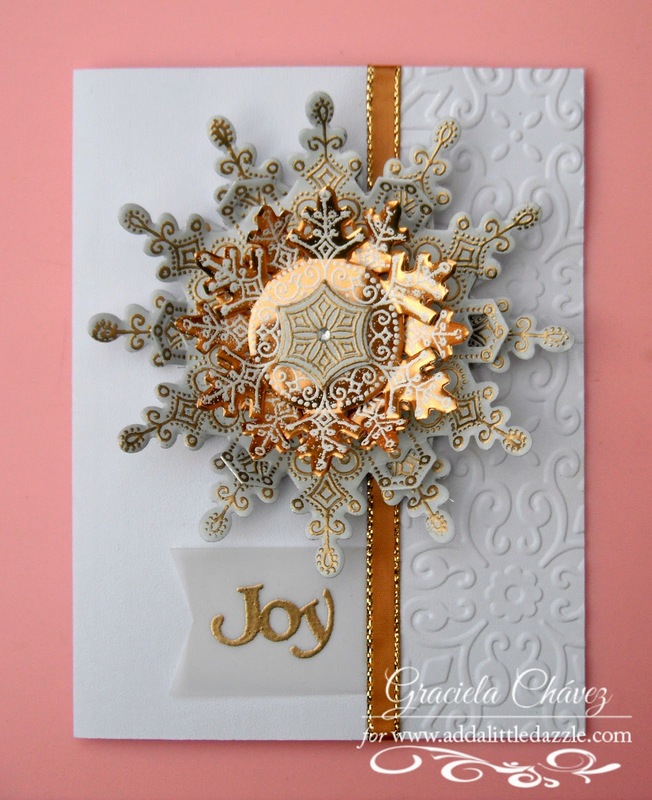 Gorgeous snowflake – love all the layers. Your creation and versatile uses of this stamp set and metal snowflakes daily amazed me during this fun hop!!! Love that emboss panel too made it more graceful:). love it!!! Love the gold and white and so many pretty layers. STUNNING!!!!!!!!!!!!!! Super fantastic, love the colors and your snowflakes are sooooooooooooooo fabulous. I think DIVINE says it all!! This is an absolutely magnificent card! I love the snowflakes so much!!! Classic and elegant perfection! TFS! Wow, such a fabulous week of great ideas! I have really enjoyed seeing all the projects. Absolutely Stunning, Gracie! Your work is really always so beautiful! Can't wait to have you back! The layers are wonderful. A beautiful project. thanks for sharing some great projects this week. I've enjoyed them all. Your snowflake is amazing! 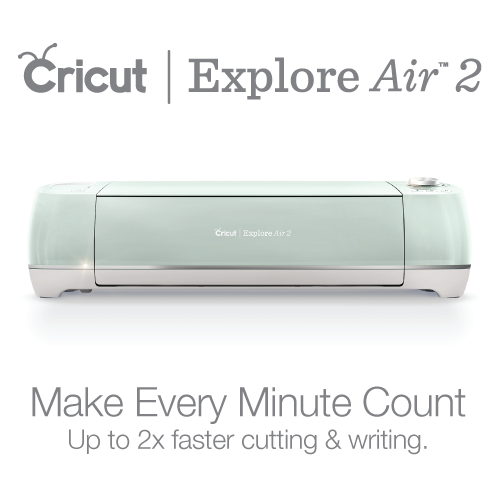 Love the beautiful color choices and your amazing accuracy with the stamps and dies. It's been such a joy to stop by and see all your fabulous projects this week. A beautiful card! The snowflake is stunning. Thanks for sharing. Elegant card! You have made some beautiful projects for this hop. Thx so much for sharing! That is a beautiful card, Great layering. I'm not a big fan of gold but this is very shiny. 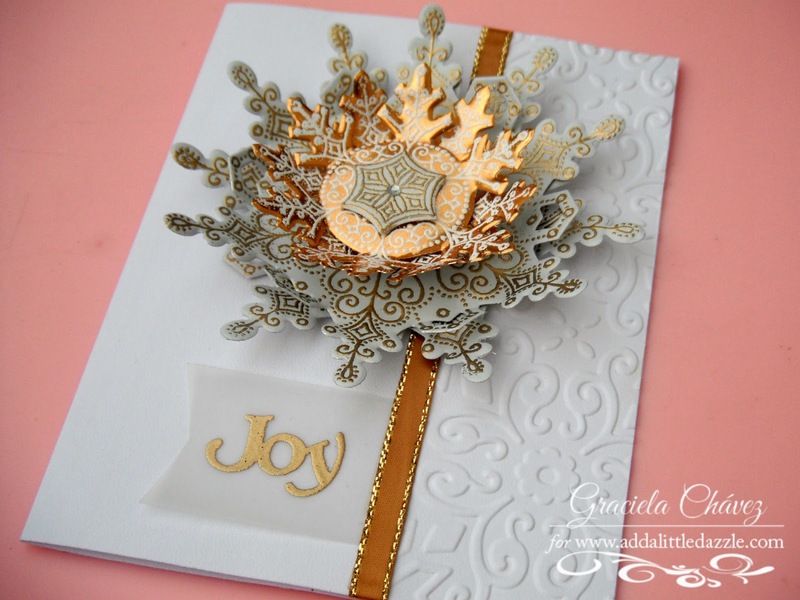 I love all of the layers on the snow flake on your card. It is so elegant. That snowflake is just breathtaking. If I got that card I would remove the snowflake and turn it into an ornament. So elegant! Love the layered snowflakes! What a gorgeously, gorgeous card…the colors are stunning and the overall design is breathtaking! Gorgeous card. The layers on the snowflake are fantastic! What an elegant card! So very pretty! 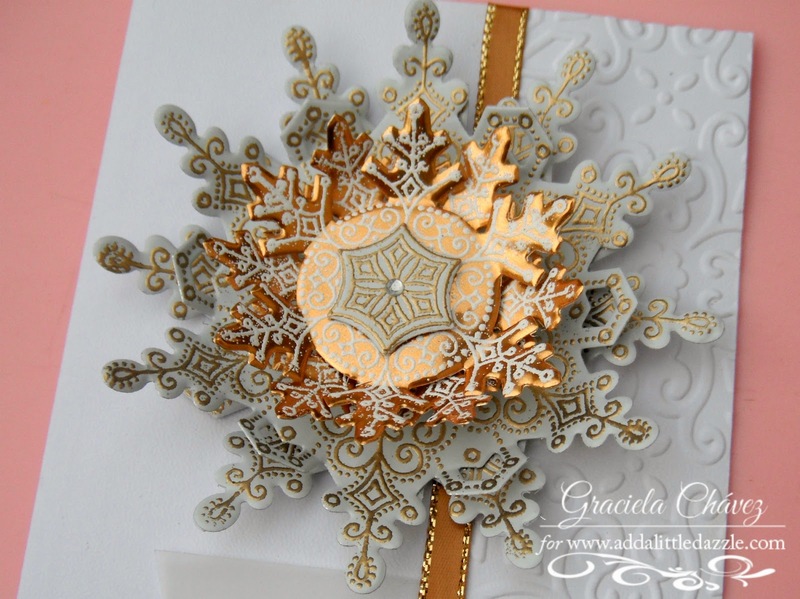 Love the layered snowflake and the ribbon is perfect with it! Gorgeous! Realmente muy hermosa! El repujado esta espectacular pero el snowflake es realmente un detalle precioso!!! Wonderful card! Love all the dimension with all the snowflakes! This is a gorgeous card using 2 different metal colors and adding much more pop! Just stunning!